L Tue – Sat 12-3.45pm D Tue–Sat 5-9pm; (Fri, Sat to 9.45), Sun12.30– 8.30pm. 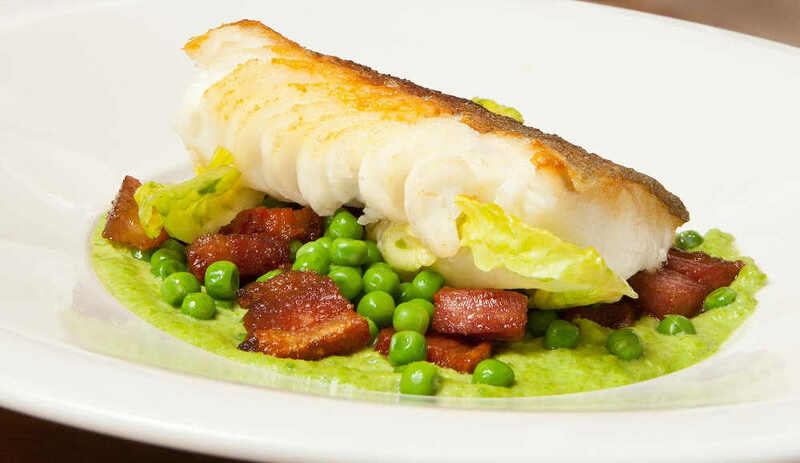 Tue-Thu 2/3 course set menu €22/€26, also à la carte. House wine €22. Closed Mon except Bank Hol Mon. MasterCard, Visa. Behind a traditional flower-decked pub frontage proudly proclaiming its establishment in 1838 lies a very modern hybrid, combining the qualities of the classic Irish bar with something altogether different - and it's all to do with good food. 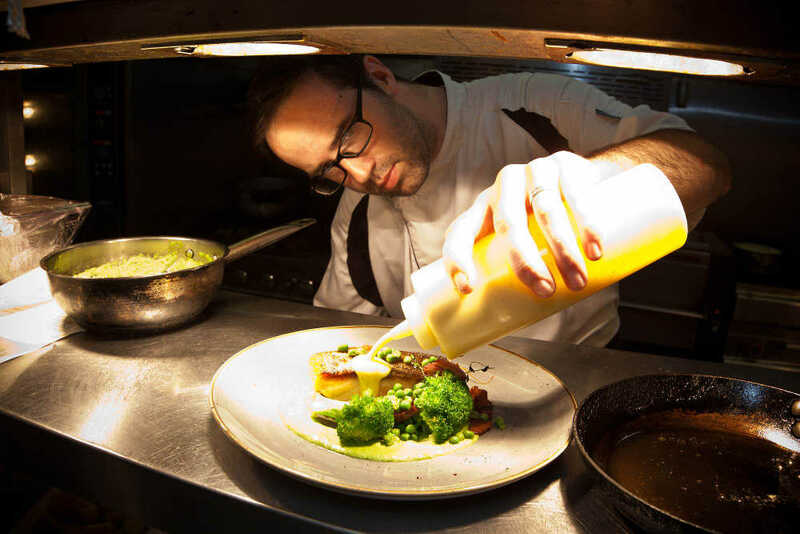 When brothers-in-law Paul Lenehan and Ronan Kinsella opened Hartes Bar & Grill in 2009, they wanted to create a place where 'service, quality, value for money and consistency' were the hallmarks and, thanks to their hard work and a talented chef who shares their vision, they have succeeded in making this well-run bar in Kildare town centre a key dining destination. Inside it's a pleasant combination of old and new, with smiling staff greeting customers arriving into the traditional bar (welcoming open fire, flat screen TV and horse racing memorabilia on the walls), and smart tables comfortably set up simply but invitingly for eating. 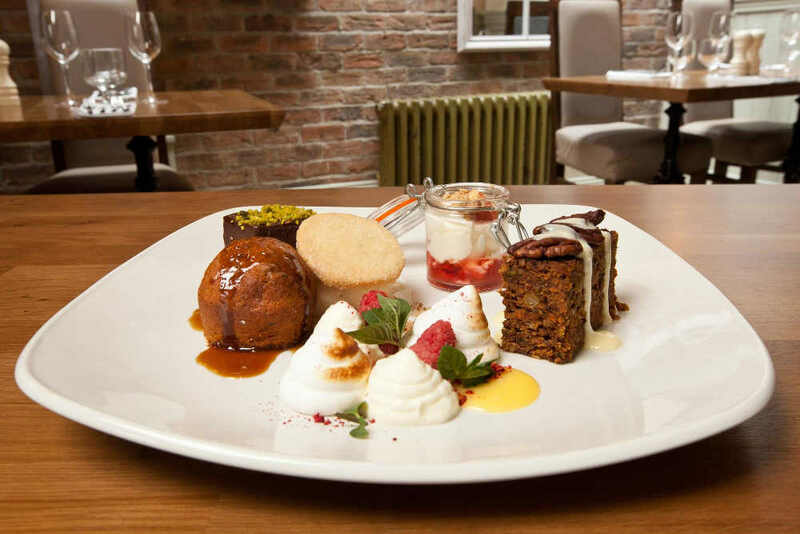 Every delicious-sounding dish offered shows real interest and care, and that’s even before you notice the reassuring statement about using sustainable fish and Bord Bia approved meats and poultry - and a note that ‘all stocks, sauces, breads and desserts are made in house and we support the use of Irish artisan and small farm suppliers’, all underlining their strong food philosophy. The daytime menu is quite extensive and well-priced, but not at the cost of quality - homemade soups for example, come with home baked sourdough bread. In the evening (and at Sunday lunch) the main event here is ‘steak on a stone’ for cooking your own steaks on a fiercely hot stone (440 degrees C) at the table but, while this undoubtedly adds fun and theatre to a meal out, it would be a pity to miss Barry Liscombe’s excellent cooking. Everything, including the vegetarian choices, seems equally appealing - and, along with coeliac friendly, vegetarian and lactose free options, you’ll find Paul’s favourites highlighted too! Standout dishes to look out for include an excellent starter of Blackwater gin cured organic salmon, a colourful creation with plenty of punch. Of the main courses, beef is well represented, of course - several steak dishes, slow cooked blade of beef and the famous Hartes burger - then, as well as other meats and poultry, there are imaginative fish dishes and at least one interesting vegetarian dish (with a vegan option). Desserts will please everyone who likes a good chocolate fix to round off a meal, but there are other tempting choices too, perhaps including a seriously delicious apple crumble, with vanilla custard and whiskey-soaked sultanas or Hartes ice-cream sundae with carmelised banana oat biscuits and candied pecans. Everything is appetisingly served and with great attention to detail, especially colour combinations. Service is good too - smartly groomed young staff are well versed in the menu dishes, regularly check back with customers and serve wine correctly. The wine list is not long but it offers a fair choice of well-chosen bottles under €30 and a few treats. There’s also a good cocktail list too - but the highlight is an extensive list of Irish artisan and world beers available on draught (including their own Dew Drop Oatmeal Pale Ale, brewed for them nearby by Trouble Brewing) and a gin board listing over 20 gins new and old. 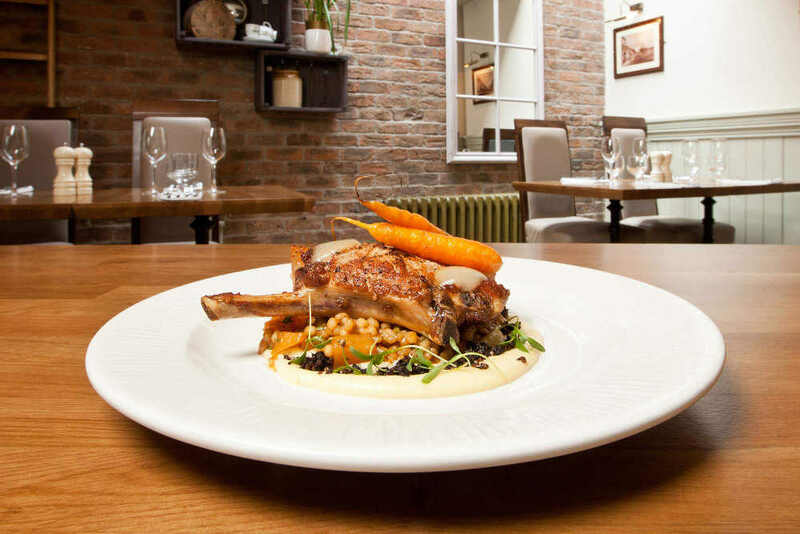 All round this is a great dining destination, offering excellent cooking in a relaxed yet professional ambience - and the commitment to support Irish producers is commendable. Town centre, on the market square and beside St. Brigid's cathederal.